These official Moto G6 user manuals, Moto G6 Play user manuals and Moto G6 Plus user manuals will show you how to effectively use Moto G6 ( Moto G 2018), Moto G6 Play and Moto G6 Plus. All user manuals for Moto G6, Moto G6 Play and Moto G6 Plus are in PDF format. You can read them online, or download a copy to read or print offline. Due to the differences in Moto G6, Moto G6 Play and Moto G6 Plus, you need to get the user guide based on your phone model. Please note, the availability of the three Moto G6 models varies from region to region. Therefore, you may be not able to get all three models in your region. If you cannot find the official user guides of Moto G6. G6 Play and G6 Plus in your language, you may let us know in the comment box below. We will try to find and add them (if available). This section lists the official Moto G6 user manuals. They are for Moto G6 phones only. If your Moto G6 is Moto G6 Play or Moto G6 Plus, please check the other two sections. Official Moto G6 User Guide in English language (UK) is for Moto G6 (Moto G 2018) sold in international market including Europe, Latin America, Middle East, Africa and Asia with Android Ore0 8.0. If you cannot find the Moto G6 user manual in local language for your Moto G6, you may try this one. 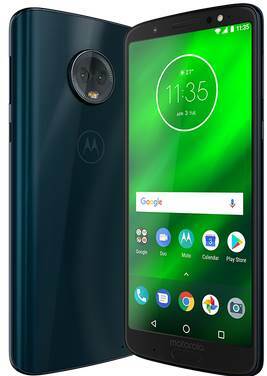 Download link for Moto G6 User guide in English language (UK) (in PDF): The official Moto G6 User manual in English language (UK) for international versions of Moto G6 (Moto G 2018) (English, Europe, Latin America, Middle East, Africa and Asia). You can download the official user guide of Moto G5 and Moto G5 Plus in your own language. This page offers official Moto G5 user manual and Moto G5 Plus user manual in different languages. You can download a copy or read online. These user guides are for both Moto G5 and Moto G5 Plus (Moto G 5th Gen, Moto G Plus 5th Gen). for Moto G 1st Gen (Moto G 2013) in this page. Please use the correct user manual for your Moto G devices. How to use official Moto G5 user manual and Moto G5 Plus user manual? All Moto G5 user manuals and Moto G5 Plus user manuals are in PDF format. This means you can open them directly in Chrome browser if you read them online. If you download the manuals to your PC or your Moto G5 (or Moto G5 Plus), you need a PDF reader app to open them. You can get the official PDF reader for your PC or for Android devices. on PC, right click the link, then click Save as to download the user manual of Moto G5 and Moto G5 Plus. on Android devices (e.g., Moto G5 or Moto G5 Plus), tap and hold the link, then tap Download link to download the user manual. After you download the files, you can read them with any PDF reader app. You can also print them from your PC if you want. You can also use wireless printing to print them from Moto G5 or Moto G5 Plus. We will update the list once a new language of Moto G5 user manual and Moto G5 Plus user manual is available. So, if you cannot find the language you want, you may check it back later.